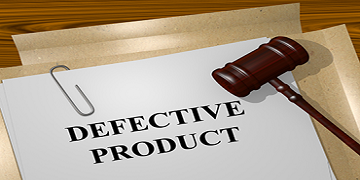 A defective product is any product that causes injury to its user due to flawed labeling, defective design, or defective manufacturing of the product. Sometimes referred to as “faulty products, defective products can be extremely dangerous, because the user has no way of knowing the product is not to be trusted. Basically, a defective product is an unsafe product. When you use unsafe products, you can become injured. That is why the government has agencies like the Consumer Product Safety Commission and the National Highway and Traffic Safety Administration. Government agencies aren’t always enough to prevent a defective and therefore unsafe product from making it to the store. In order to increase sales, many companies sell products directly to consumers without proper safety testing. The government can’t test every item on the market. Manufacturers have a responsibility to design and sell safe products, not products that are faulty, defective, or unsafe. You should be able to buy a product and use it the way the instructions say to use it without being injured unless you are warned first an injury is likely or possible. 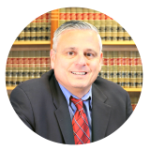 Recently, a client of Mastrangelo Law Offices was injured while using an attic ladder he had purchased at a well-known hardware chain. He installed the ladder in his home according to instructions. The instructions were simple enough, and on the surface appeared safe to the client. After he installed the ladder according to the directions, the client used the ladder to enter the attic. As he came down the ladder, the right side spring of the ladder, caught on his shirt near his waist and caused him to lose his footing. Slipping off the ladder, he reached out to stabilize himself, his finger became caught in an exposed hinge and he fell off the ladder four feet above the ground. A portion of his left pinky finger remained in the hinge and had to be traumatically amputated as a result of this accident. Mastrangelo Law Offices’ investigation of this accident determined that the client had used the ladder as intended and had properly installed it according to the manufacturers directions. Further investigation revealed that the ladder was improperly assembled prior to sale and was defectively designed making the ladder unsafe. The case settled prior to going to court also known as litigation for $75,000.